What Is the Rainbow Sheen on Ham? Is your ham safe to eat? If you're just learning how to cook learning when to tell if certain foods have spoiled isn't always easy. Sometimes rot is easy to spot but other times not so much. When it comes to meat it can sometimes be hard to tell if it's gone bad or not and ham is a prime example of this. Most people assume any type of color change is a bad sign but this isn't always the case. Read on to find out what it means when your ham takes on some new colors and if it's safe to eat. You may have noticed a glistening, sometimes greenish, rainbow iridescent effect on cut ham. This is not necessarily an indication of spoilage. Hams using nitrates and/or nitrites as curing agents undergo pigment changes when exposed to light and air due to a chemical reaction. These same nitrates are the cause of the meat color remaining rosy red, even when fully cooked. Are Nitrates Health or Harmful? There's a great debate in the health food world over the safety of nitrates in food. While most scientists find that unless you have a specific allergy to nitrates they're a safe food additive. Some nutritionists think that nitrates, especially in large quantities, can cause all sorts of medical issues from indigestion to cancer. Of course, there are no real studies that support this hypothesis. 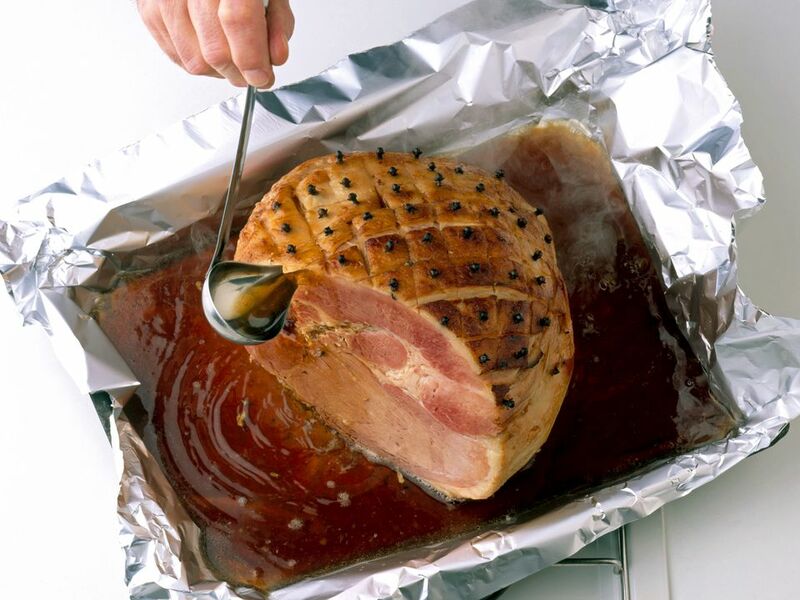 Signs that your ham has turned are similar to signs of spoilage in many other types of meat. A bad smell is a big indicator that you don't want to eat that meat. We already covered what the rainbow sheen means but what about other colors? If your meat is turning an unhealthy green, gray, or black color that's a sure sign it's gone bad. While ham is usually cured in a way that makes mold unlikely if your meat every starts to grow it's time to get rid of that science project. You also never want to sniff a moldy bit of meat, those spores can enter your respiratory system and make you sick. When you discover mold you're going to want to get rid of it asap. It's a good idea to wrap the meat in a plastic bag before you toss it to prevent the mold spores from becoming air born and making people sick. If your ham or any other meat has a slick, slimy feel or film coating it that's another bad sign. While there are a lot of ways your meat can spoil the good thing is when it does it's usually pretty easy to spot. While some foods like cheese can be salvaged if parts begin to turn, ham and meat products generally can not. What Is an Emulsion in the Culinary Arts?